Dr.Shyh-Shyong Sim and associates have reported a case of Case of Serotonin Syndrome presenting with Ocular Flutter which has appeared in The New England Journal of Medicine, NEJM. Serotonin syndrome (SS) is a group of symptoms that may occur following use of certain serotonergic medications or drugs. Serotonin is a chemical produced by the body that enables brain cells and other nervous system cells to communicate with one another too much of which can lead to excessive nerve cell activity, causing a potentially deadly collection of symptoms known as serotonin syndrome. A 46-year-old woman was brought to the emergency department because of agitation. On arrival, she had a fever (temperature, 38.6°C) and tachycardia (heart rate, 169 beats per minute). The patient was agitated and had ocular flutter as well as rigidity in the legs and myoclonus in the arms. The bowel sounds were hyperactive, and her skin was cold, with diaphoresis. Her medications included benzodiazepines (alprazolam and estazolam) and venlafaxine (a serotonin-norepinephrine reuptake inhibitor that is typically prescribed for major depressive disorder and generalized anxiety disorder). She reported taking more doses of venlafaxine than were prescribed. Her symptoms and medication history suggested the serotonin syndrome. 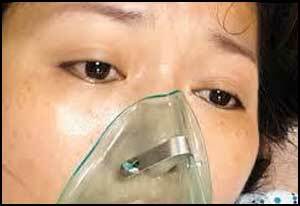 The patient was given midazolam and was intubated for airway protection. The myoclonus and autonomic hyperactivity abated after the injection of midazolam, but the ocular flutter persisted. The patient was admitted to the intensive care unit and died several days later. The serotonin syndrome may be life-threatening. The typical clinical manifestations include changes in mental status, autonomic instability, and neuromuscular findings such as myoclonus, ocular flutter, muscular rigidity, and hyperreflexia. Many commonly used medications have proven to be the culprits of serotonin syndrome. Proper education and awareness about serotonin syndrome will improve the accuracy of diagnosis and promote the institution of the appropriate treatment that may prevent significant morbidity and mortality.